Hawkstone Physical Therapy is proud to be an active member of the community. It is involved with fundraising support for the Run for The Cure, Dress for the Cause, the Breast Impressions Calendar Association and the Mustard Seed. Hawkstone Physical Therapy is also happy to support the Strong Kids campaign through the Edmonton YMCA and is a proud sponsor of the Merriott Fitness Triathlon in Devon, Alberta. The therapists at Hawkstone Physical Therapy also do lectures at the Running Room on common running injuries. We’re all about the community. Throughout the year, Hawkstone Physical Therapy is proud to provide fundraising support for the Run for The Cure, Santa's Anonymous, Pink Shirt Day, Bell Let's Talk Day, Plaid for Dad, and the Mustard Seed Society. We’re also very pleased to offer our support to YMCA Edmonton’s Strong Kids campaign, local community sports teams and causes near and dear to the hearts of our patients and staff. Once again, the Hawkstone staff Secret Santa was able to donate as many toys as would fit in Fraser’s car to Santa’s Anonymous! On Friday June 15, 2018 we will be wearing our best plaid to raise awareness for prostate cancer! Santa's anonymous gets a big donation from Hawkstone! Please help us support a local charity! It was a busy December for our staff at Hawkstone Physical Therapy as we participated in a couple of local charity events. 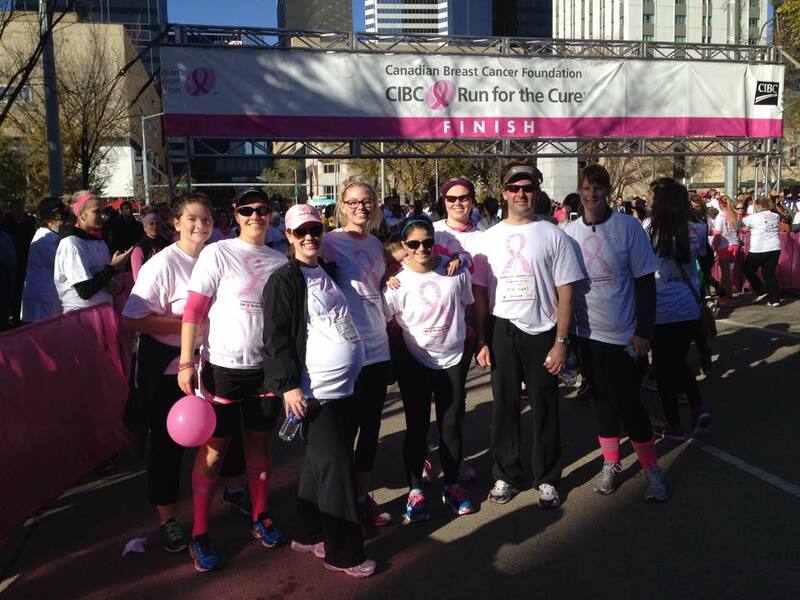 Once again the Hawkstone Hooters were excited to be participating in the CIBC Run for the Cure! For the first time we took part in two cities with people representing in both Edmonton and Calgary! Thanks to Nicola Cullen, Gabrielle Oke, Katie Scoffield and Suzie Jones for continuing the tradition! It was another great day for the CIBC Run for the Cure. On Sunday, October 5th the Hawkstone Hooters again took part in the annual 5 km run/walk to raise money and awareness of Breast Cancer. Hawkstone Physical Therapy helped to raise over $3000 in support of the Albert Cancer Foundation. We spent a wonderful morning at Half Moon Lake in the annual Cross Cancer Institute Triathlon. Way to go athletes and volunteers! Hawkstone Physical Therapy is BBQ’ing “hawk dogs” again this year to raise money for the Alberta Cancer Foundation. Come out to enjoy a hot dog! 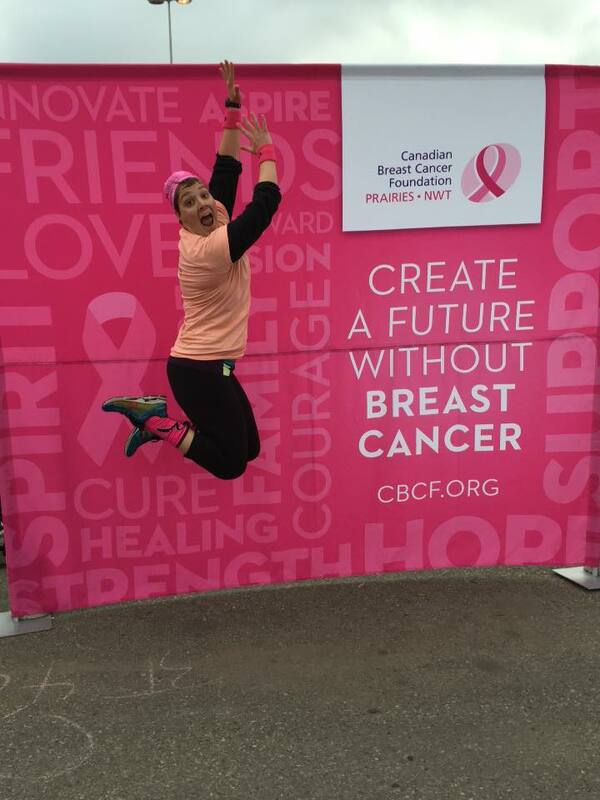 On Sunday Oct 6, 2015 the Hawkstone Hooters took part in the CIBC Run for the Cure. It was another fun event for the group! The 2013 Hawkstone Hooters all ready to run/walk 5 kms! Hawkstone Physical Therapy had three teams participating in the Cross Cancer Institute’s triathlon at Half Moon Lake. We also had a booth set up to hand out water to participants and provide some post-race stretching. Great job to the athletes and volunteers! Hawkstone Physical Therapy was busy today BBQ’ing “Hawk” dogs to raise money for the Alberta Cancer Foundation’s annual Cross Cancer Institute’s triathlon. Hawkstone Physical Therapy’s team the Hawkstone Hooters had a blast at Bust A Move with Richard Simmons! Thanks to all those who supported our team. Hawkstone Physical Therapy would like to say congratulations to all the athletes of the Merriott Fitness Triathlon in Devon. On Sunday, July 22, Hawkstone Physical Therapy attended the race, to cheer on racers, hand out water to participants and offer some post-race stretching. Check out our pictures of the event. Thank you to those that supported the Hawkstone Hooters. The Bust a Move event was a great success and we are happy to have been a part of it. A lot of sweat was shed as participants were led through various workout sessions including cardio kickbox, yoga, hip hop and Zumba dance. We also got on stage to Bust a Move with fitness sensation Richard Simmons!! Come have a cupcake and celebrate Hawkstone Physical Therapy’s 5th Anniversary! Hawkstone Physical Therapy would like to invite you to our first Hawk Dog Day. In celebration of Canada Day, we will be cooking “Hawk Dogs” and collecting donations for the charity ihuman. Please stop by for a dog, pop and a piece of cake!